Does Anybody Really Need a Laptop Cooling Pad? Spend enough time perusing computer and gaming websites or stores and you’ll see some goofy things. Tech accessories can run the spectrum from very useful to downright silly, but there are some that sit in between, tempting you with their supposed usefulness and enticing you with glowing LEDs and angular designs. One such product: laptop cooling pads. 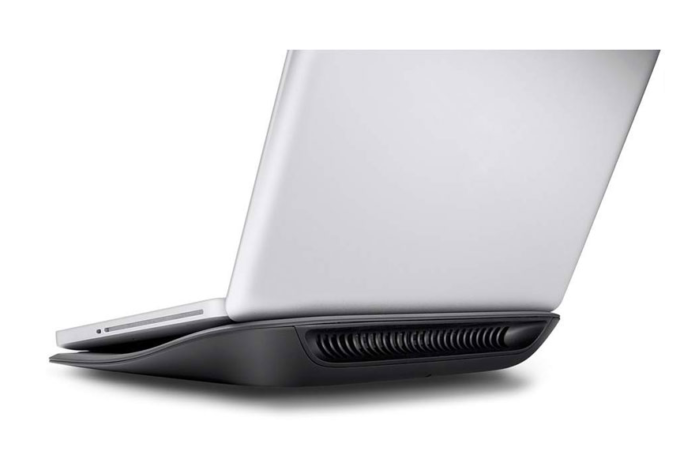 These elevated platforms have built-in fans and promise to improve your laptop performance through superior cooling. Some have adjustable fan speeds, whisper-quiet operation and even built-in USB hubs. But are they useful? Can they improve your laptop’s performance? Are they worth the money? To help find answers to these nagging questions, we gathered a dozen of the best-selling laptop coolers on the market, then put them through rigorous testing to see if any of them are really worth the hype. Laptop coolers are marketed to all sorts of users, so we tested our dozen coolers on three types of laptops: a small budget 2-in-1, a more mainstream general-use laptop and a gaming notebook. For our budget system, we used the 11-inch HP Pavilion x360, a compact convertible 2-in-1 that boasts an Intel Pentium processor, integrated Intel HD Graphics and no built-in cooling fans. It doesn’t have the greatest performance, and it can get warm, so it’s tempting to think that a cooling pad might help it do a little more than it normally could. For a more mainstream, general-use laptop, we used the HP Envy 17, a 17-inch system that boasts a dual-core Intel Core i7-7500U processor and an Nvidia GeForce 940MX graphics card – a GPU well-suited to tasks like light photo editing, but not gaming. It’s exactly the sort of system that you might want to game on, if only you could coax a slightly better frame rate out of it. Finally, for the gamers out there, we used a 15-inch MSI GS63VR 6RF Stealth Pro gaming laptop similar to the one we reviewed in July. It’s VR-ready, thanks to an Nvidia GTX 1060 card, but the slim laptop runs hot, making it the ideal candidate for a cooling pad. Our testing was designed to look at three primary areas: cooling, performance and noise. Since cooling is the laptop cooler’s raison d’etre – cooler is right there in the name – we focused first and foremost on temperature control. To measure this we put it through a number of tests, including the same heat test we put all of our laptops through during reviews. Along the way we measured both the surface temperatures, using an IR temperature gun, and internal temperatures using CPUID’s HWMonitor, a free tool for monitoring system sensor data. We measured external and internal temperatures while running at room temperature on all three of our test laptops, and then we ran the same batch of tests while on an active cooling pad. While some pads have adjustable fan speeds, we defaulted to the maximum everytime. We wanted to get every bit of cooling capability out of every laptop cooler we tested. We also tested performance, looking at both general processing and gaming. For this we used three tests. Geekbench 4 is a processor-intensive benchmark test that produces a simple score where higher is better. Dirt 3 provides a low-level graphics test that runs through a short segment of simulated gameplay, producing an average frame rate report at the end. For a more ambitious gaming test we used Rise of the Tomb Raider, a current-ish AAA title, and grabbed its average frame rate. Each step of the way, we monitored the internal temperatures of the laptops, specifically noting the processor-package temperature. The processor is the sweltering heart of the laptop, simultaneously the biggest heat producer and the component most impaired by overheating. If you’ve ever had a PC shut down on you due to overheating, you know exactly how important it is to manage the temperature of your CPU. We also tested for noise levels. A blowing fan may have some benefits, but noise can be a real drawback. For this test we used a MasTech MS6700 Digital Sound Level Meter, and measured the decibel level of the cooling fan while it ran during our testing. Since we tested each cooling pad at the maximum fan speeds available, our noise testing also addresses the loudest noise level it can make in normal operation. All the tests we ran produce a good amount of data, but determining whether or not those test results tell us anything — and what — was another issue. Each of our three laptops has its own unique factors that impact how effective external cooling can be. Each of the tests we ran can vary based on what sort of hardware it’s running on, and while cooling has an impact, we weren’t entirely sure how well that would come across in test results. In the end, we boiled it down to five numbers: the change in external temperatures, the change in internal temperatures, the change in processor performance, and two sets of numbers for gaming performance. Now you might think that these numbers would provide a clear picture of what benefits are offered by cooling pads, and which product offers the best mix of benefits, but that’s not quite the case. Two things are clear. First, laptop cooling pads do offer varying degrees of effective cooling. Both internal and external temperatures were effectively lowered, with internal heat levels dropping by as much as 30 degrees Fahrenheit when added up across multiple tests and averaged across our three laptops. The overall average was a 13 degree drop, but some laptop coolers were closer to a 1 or 2 degree change. Second, you are likely to see a very slight performance improvement as a result of this cooling. All of the pads we reviewed resulted in better performance on average in all of our benchmark tests. The problem is that the performance gains are extremely small. Processing performance, for example, improved by less than 2 percent. That’s the sort of improvement that you simply won’t notice in your day-to-day use. Gaming performance also saw improvements, but let’s be clear – there is no magical cooling pad that will make your laptop capable of playing games that it can’t play now. In Dirt 3, which can be run using integrated graphics, we saw improvements most of the time, but the inexpensive HP Pavilion x360 actually saw frame rates drop ever so slightly (a reduction of less than 1 frame per second) on every cooling pad we tested. Both the HP Envy 17 and the MSI GS63VR Stealth Pro saw improvements (gaining up to 20 frames per second) but were already producing frame rates that were smoothly playable, so the difference in experience will be minimal. GPU-intensive performance in games like Rise of the Tomb Raider, on the other hand, saw improvements on most of the cooling pads, but those improvements never amounted to a full additional frame per second, let alone the sort of substantial changes one might hope to see with gaming performance. Cooling a gaming laptop will help keep temperatures in check, and will technically improve performance, but the reality is that you can’t improve your gaming experience by putting a couple of fans under your laptop. Sorry, gamers. We also saw fairly similar noise levels across all 12 of the cooling pads, with noise levels ranging from 48 to 55 decibels. In our lab, which has an ambient noise level of 40 to 43 decibels, that was loud enough to be heard when near the operating cooling pads, but never so loud that it was a distraction. A regular desktop PC will usually produce around 40 decibels, while 50 decibels is closer to the noise produced by a refrigerator. In both cases, it’s enough that you can hear it, but it’s unlikely it will be loud enough to be noticeable in most circumstances. If noise level is a concern, models with adjustable speeds may be able to run quietly with slower fan speeds. So Who Does Need a Cooling Pad? All of this is not to say that nobody should ever buy a laptop cooler. There are circumstances where a cooling pad is just the thing you need, and in those instances they are an affordable solution to a few irritating problems. If you’re using an older laptop that is prone to overheating – meaning it gets so hot that it shuts down or reboots, or is too hot to touch – then a cooling pad may make enough of a difference to squeeze some more usability out of the machine. That said, it’s a short-term solution to a long-term problem. If your laptop runs so hot that you could make a grilled cheese sandwich on it, then your laptop is in need of either repair or cleaning, if not both. The likely culprit is dust, which can clog the fan vents and choke the internal cooling hardware. You may be able to clean it out with a can of compressed air, or you may need to open up the chassis to shoo out the dust bunnies. You may also need a cooler when you’ve pushed an underpowered system to its limits. Just because your Pentium-powered laptop can run the latest version of the Sims doesn’t mean it’s well-suited to it, and in those instances, you may find that a cooling pad helps keep the laptop from overheating. That said, our testing data makes it pretty clear that cooling is all it will do; there’s simply no way for an external fan blowing air to magically make your laptop render more frames, but it will keep things just a little cooler. Also, if you actually use your laptop on your lap, or in bed, or set on pillows or blankets, then a cooling pad can help keep you a little more comfortable. Most laptop coolers are designed for use on a desk or table, but some, like the Targus Lap Chill Mat AWE55US, are built for on-lap usage. In these cases, the majority of the benefit comes from a cooling pad providing space for regular ventilation, which prevents pillows or blankets from covering the fan vents built into the underside of the laptop. This is especially important since a hot laptop can have a real impact on your health, with issues like the evocatively named “Toasted Skin Syndrome” and a negative effect on male fertility. Comfort at your desk is another consideration. If you have a laptop that belches hot air at you like a steady stream of steam from a subway grate, you may want to blow that hot air elsewhere. A laptop cooler can definitely help on that front. There are also some ergonomic benefits to be gained from raising up your laptop display, and cooling pads with adjustable height and angle can actually improve posture and reduce neck pain by getting your laptop screen up off the desk and closer to eye level. After looking over this article and reading about what you can and can’t expect from a cooling pad, if you still want to buy a cooling pad, here is some friendly advice to help you get the most for your money. First, there’s no reason to pay a lot. At no point in our testing did we see a correlation between overall cooling or performance improvements with either price or brand name. A $20 cooler from a brand you’ve never heard of will likely chill your laptop as well or better than the $70 option from a well-known gaming brand. The technology of a cooling pad is simple – it’s a laptop stand with a few fans mounted on it. There is no secret sauce that will make this basic design significantly more effective, simply because it’s not very effective in the best of circumstances. In our research and testing, there’s no need to pay more than $30 for any laptop cooler unless you’re paying for extra features. Second, look at how you’ll be using it. If you need something you can use away from a desk, look at something like the Targus Lap Chill Mat AWE55US, which has neoprene padding for comfort and no riser feet that will jab you in the legs. If you want something you can take with you on the go, look for a cooler that’s small and light enough to fit in your laptop bag. Match the design to your use and you’ll have a better experience overall. Third, features make a difference, even when cooling doesn’t. If you want to get the most value for your money, consider a cooling pad with a USB hub built in. It doesn’t make the cooling any better or worse, but at least you’ll get some more usable ports out of the deal.